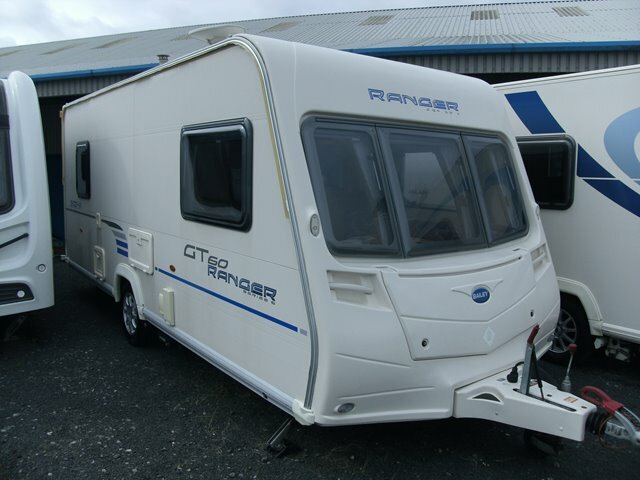 Here we have an excellent five berth caravan from Bailey, part of their popular Ranger series. It features a double dinette layout with bench seating at the front, seating at the back with a fold up bunk, a central washroom and a central kitchen. The 500/5 is an excellent starter caravan for a family or for those who want a versatile layout. It comes with microwave, external mains point, AL-KO ATC, CD/radio player and a motor mover for easy positioning. For further information please contact us on 01384 413336 and ask for a member of the sales team.